A new American opera conceived by Sgt Ben Hilgert. Based on interviews with military veterans at Walter Reed Hospital. Composed by Zachary Redler. Libretto by Jerre Dye. The Falling and the Rising is an exciting new American opera that centers around a strong female hero known only as "Soldier". After sending a video message home on the eve of her daughter's thirteenth birhtday, our soldier is severely wounded by a roadside IED. Doctors quickly place her in an induced coma to help minimize the extensive trauma to her brain. We follow as the soldier makes an arduous journey through a coma-induced dreamscape punctuated by the lives of fellow service members, each on their own individual journey toward healing and home. Together, they must move toward clarity, comfort, consciousness, and communal hope during a time of adversity. Created in hopes of capturing the indomitable spirit of our U.S. military veterans and to shed light on the inspirational power of their often overlooked stories, The Falling and the Rising is a story of family, service, and sacrificed inside a period of great uncertainty. 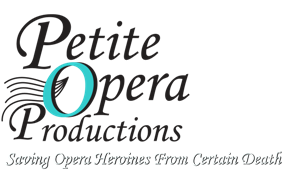 Petite Opera's production will feature 5 lead performers and a chorus comprised of mixed active-duty and veteran military service men and women. "I've been a military veteran for over 60 years, and this is the first production that truly told the stories of what we went through." -- a military veteran from the Battle of the Bulge, after seeing The Falling and the Rising.